If you’re a fan of the supernatural and enjoy a good horror story then you’ve come to the right place. 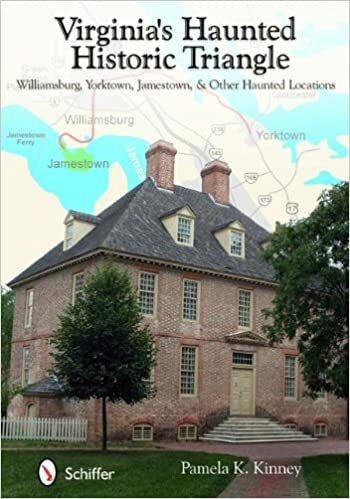 Virginia is popular for its haunted locations and each year there are organized tours visiting any of them. In order to intrigue you even further, we will name some of the locations you can visit and explain the story behind them. Stick around, if you dare! The number five on our list is Historic Jordan Springs. This location dates back to 1800’s. There have been reports saying that ghost were wandering inside the building, but also on the grounds as well. The history behind this location is that it endured many civil war battles and that it also served as a hospital during that time. This location was also filmed for an episode of ghost hunters. Number four goes to Henricus Historical Park. This reconstructed park is the second English settlement and it’s located just above the James river. The EVP’s ( Electronic Voice Phenomenon ) recorded that there are resident spirits of Civil war soldiers here but also the native Americans. This is a place where many soldiers died in an attempt to dig the Dutch Gap Canal. This canal was dug in order to allow the boats to bypass the confederate guns along the shores. The union soldiers received heavy casualties and they haunt the place to this day. The third one is Ferry Plantation House located on Virginia Beach. This one is the local favorite and the age behind this location is remarkable. The history of this property goes all the way back to 1642 even though the House was built in the 1830. The interesting thing about this location is that there are claims about multiple spirits but there is this one that’s particularly talkative and he also makes himself known on a regular basis. One more interesting detail about this place is that far back in the 1706 there was a witch called ” The witch of Pogo ”. She was one of the few women convicted of using witchcraft. The second location on the list is Civil War Hospital Museum Exchange Hospital. This is one of the favorite locations for many people who are trying to hunt ghosts. This former hotel served as a hospital for the Civil War soldiers in the 1860. It consists of three buildings, the main one house, train depot warehouse and also the kitchen quarters. Each of these buildings has its own residents who are making themselves known to investigators and also the unsuspecting tourists. And for the first place on our list – Saint Albans Sanatorium. This place is undeniably the most favorite place to all the ghost hunters throughout Virginia. It was originally a boys school before it became a mental institution. The claims about this place suggest that there are spirits of patients and even children, but also a particular ghost who actively dislikes women. To top it all off, the site upon which this institution was built was an artillery battery. Being afraid obviously triggers your body’s adrenalin levels, in some people more than others for some reason. That is why the haunting business is blooming all around, especially in places with rich history, where ghosts and sightings galore. Most of those places gained their publicity from rumors and hearsays so their popularity quickly expired. The usual story was a bad or broken ventilation system, where they could just visit http://www.stcloudairductcleaning.com and easily fix the issue. The problem is how to find the real deal – a real haunted house where the blood in your veins will freeze just being close to it. A lot of the places are common houses that are drawn to disrepair over the years, being used by many but never maintained properly. They even smell spooky, and people tend to avoid the whole neighborhood just because that one house. where the perpetrators are never identified, or the killer or killers died in a more gruesome way than their victims. Different stories are shared from ear to ear, making each and every one of them creepier than the other. A huge number of old family houses are transformed into ghost hunter center, because of some sort of energy sightings. 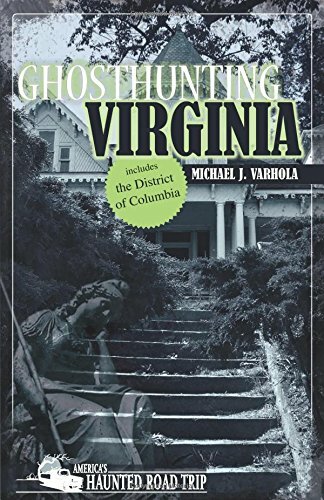 And since there are so many different paranormal organizations across the US, Virginia is a paranormal tourism landmine. Creepy attics, dark and abandoned basements, secret hidden rooms are hidden gems for locals who are extensively profiting from this kind of tourism. Locals even tend to enhance the experience with numerous dark stories about those places. In most cases, each story has a history behind it, with suspicious events, malicious participants, and even more hideous ending, and even more terrifying sequel. Especially terrifying are big mansions that you can even call castles, usually situated on cliffs or hidden behind old roads and dark woods. The trip to it alone gives you chills, not to mention a visit and walk through dark corridors, with squeaky walls and old dusty furniture. Set aside all of that, the experience itself is overwhelming, and not for those with faint heart. Being alone at night by yourself can be a little scary, imagine going to places that can scare you just by looking at them from a distance, let alone being there and exploring the place. So when in need for some chills and possibly scary thrills, feel free to explore haunted places in person, and be prepared for some serious adrenalin jump, bring some friends because being alone is just too frightening. Error type: "Forbidden". Error message: "Project 518426885769 has been scheduled for deletion and cannot be used for API calls. Visit https://console.developers.google.com/iam-admin/projects?pendingDeletion=true to undelete the project." Domain: "usageLimits". Reason: "accessNotConfigured". Check in YouTube if the id nGEa3mIlDAFWdSshaPgOdWuEnwg2wA3e belongs to a playlist. Check the FAQ of the plugin or send error messages to support.